Our continuous tracking of the PBR option chain never seems to go very long without offering up significant opportunities. Beginning on August 20th, we placed the Jan.17th $19 Calls on watch for a longer-term trading idea. Following that tag, we would observe those contracts trading at a low 1.23. This week PBR has pushed to new highs, breaking the $19-mark and maintaining it into its close at 19.21, which landed our $19 Calls at 2.25. That represents a one-week increase of 83% and that figure could stand to inflate even further. We reminded readers of our recent bottom call of RSH yesterday morning, having seen the stock touch its 52-week low at .55. Over the last several sessions it had been regaining some ground, and that pattern continued into yesterday as well. RSH would trade as low as .91 before pushing through a dollar and closing at its high of day at 1.09. That’s an increase of 20% on approximately 7x its 1-month average volume; a strong move. With a close like that, we’ll be looking for some of the momentum to carry over. Yesterday’s closing price represents an increase of 98% over our observed low of .55. As tends to happen each year, we’ve honed back in on APP at an opportune time. After seeing a low of .51 as recently as June 24th, this past Thursday saw this stock push past the dollar-mark. After another solid session on Friday wherein the stock reached as high as a 1.20, it appears as if APP wants to gap up once again this morning, touching 1.27 in pre-market trading. At that price, we’ve seen an overall move of 149% from this play in just three weeks. There’s a chance that we could see a slight consolidation to fill the gap on the chart left on Friday (1.05-1.08) in which case we’d need to see APP hold support at or above the 1.05-mark. The chart still appears ripe, however, so it will interesting to see how this play kicks off a new trading week. Social media giants TWTR and FB began to heat up last week, as anticipation of upcoming earning releases has ramped up, and both stocks seem to be gapping up in early trading this morning. We’ve done very well for ourselves trading options contracts on each of these plays, and will be looking for more of the same as these current uptrends play out. SWET first appeared in our reports on June 13th, at which time we designated it a stock that was due for a pop, and that’s exactly what we got out of it. 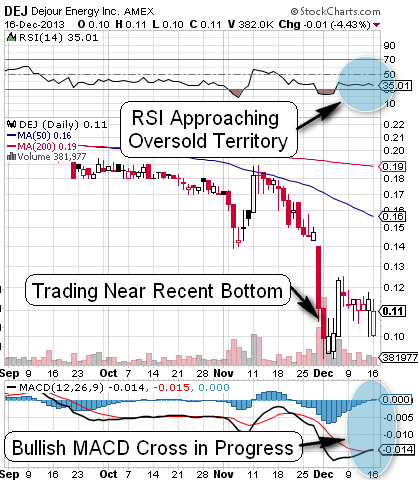 The stock rushed upward from our observed low of .0185 to hit .032 (+73%) a week ago. After a slight consolidation and finding of support at .0226, the stock has begun to inch up toward the .03-mark once again. To get there, we’ll need to see a break of resistance at Friday’s swing high of .0291. Before we get started this morning, we’d like to welcome our newest readers. If you’re just joining us, you’ve missed an awful lot, as the gains we’ve seen in 2014 have already wowed us beyond belief, but not to worry- We intend to keep this freight train moving full speed ahead! We’ll continue to work hard at bringing you advance warning on chances for rapid-strike profits, from sub-pennies to big boards, options trading and more! Without further ado, let’s jump into a brand new week of action. We hope that everyone has UTRM on their radar this morning. It is a play with impressive momentum that we caught off of our scanner on Friday. UTRM traded over a billion shares last week, and appears to be gapping up past Friday’s resistance at .0089. so we wouldn’t be surprised to see that momentum carry over into this week. We are placing UTRM on high alert for that reason, as well as its entry into the pot sector. Per a recent PR, UTRM has a new marijuana-related website coming out on the 28th, so we’ll be waiting to take a look at the finished product. Due to the extreme gains we’ve seen from so many companies that have chosen to take advantage of recent hysterical trend toward everything cannabis, we have another couple stocks to throw into the mix. GSML recently filed a statement of conversion with the Colorado Secretary of State, noting its intent to change its name to Cannabis Holdings, Inc. effective April 1st. We are going to want to tack this symbol onto our marijuana stock watchlist as GSML attempts to make the transition into the pot sector. We’ll also we on the lookout for further updates regarding the specific direction the company takes. SPRWF woke up from the dead on news that it too would pursue a place in the medical marijuana arena. Friday the stock shot up significantly, and looks like it wants to gap up again this morning. Chasing runners of this magnitude can be a risky prospect, so remember, the eventual pullback that is bound to happen at some point, will often give rise to one or more substantial bounce opportunities. CALGARY, ALBERTA, Mar 24, 2014 (Marketwired via COMTEX) — Supreme Pharmaceuticals Inc. (the “Company”) (TSX VENTURE: SL)(OTCBB: SPRWF) is pleased to announce that the Company has signed a conditional agreement with an arms-length South Okanagan-based company, whereby the Company has the option to purchase its producing medical marijuana business for up to twelve months for the sum of $1,000,000, payable in cash and shares, subject to regulatory approval. The Company is currently in a 10-business day due diligence period and if satisfied, Supreme will make a $100,000 option payment. We’re taking a look at DEJ this morning, an oil & gas play that is coming off of a recent bottom. Indicators on the chart seem to be ripening, so we wanted to put DEJ on everyone’s radar. As you can see, the RSI is coming off of being oversold, while the MACD is in the process of a bullish cross, with the blue bars on the histogram also flipping up to the bullish side. VANCOUVER, British Columbia–(BUSINESS WIRE)-Dejour Energy Inc. (TSX:DEJ) (NYSE MKT:DEJ), an independent oil and natural gas exploration and production company operating in North America’s Piceance Basin and Peace River Arch regions, today announces that it has signed a Letter of Intent to create a strategic joint venture partnership with a private Singapore based energy company (‘SECO’) to develop the company’s Colorado oil and gas assets. Many of you know, we’ve been pounding the table on PHOT and the marijuana industry as a whole for well over a year now. Beginning back in August, we started to ramp up our coverage of this stock. At the time PHOT was trading as low as .0299, and has continued to push the envelope ever since, bringing us up to the present where PHOT is now officially in Blue Sky Breakout mode. The stock has reached lofty highs culminating in yesterday’s run up to .14, which represents an astonishing 368% increase off of the low we just mentioned, in just a few months’ time. 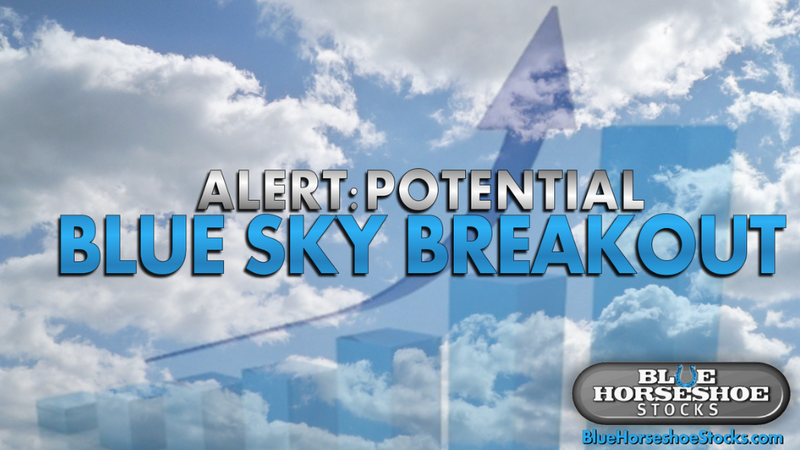 As is the case with any runner that’s streaking into the Blue Sky, we want to be cautious of a potential reversal. In the event of pullback, we’d like to see support hold at the previous resistance level of .1045. Important Industry Side Note: Not only have there been recent talks within the NY State legislature about plans for a bill that would legalize the drug in New York as it has been in Washington and Colorado, but Uruguay also recently became the first country in the world to effect nationwide legalization and regulation of growth, sales, and trade. The idea that marijuana prohibition is both ineffective and harmful on many levels is finally beginning to gain real headway in the mainstream.